The estate the wealthy Salco Tromp Meesters passed on to his son Jan Hendrik was a handsomely sited expanse of ground. Following a competition the latter had the Amsterdam architect A.L. van Gendt build an Art Nouveau villa on it. Surrounding the villa is a park in English landscape style laid out to a design by the landscape architect Copijn. The interior is graced with a wealth of decoration including several very fine ceilings and mural paintings by Co Breman. 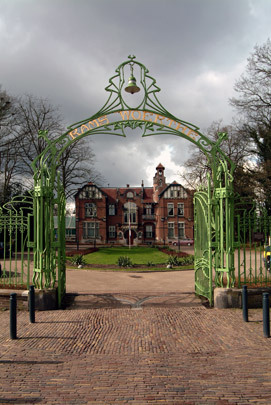 In 1918 Steenwijk municipality bought the villa and converted it into a Municipal Hall. In the grounds stands a monument to the liberation by the Steenwijk-born sculptor Hildo Krop.